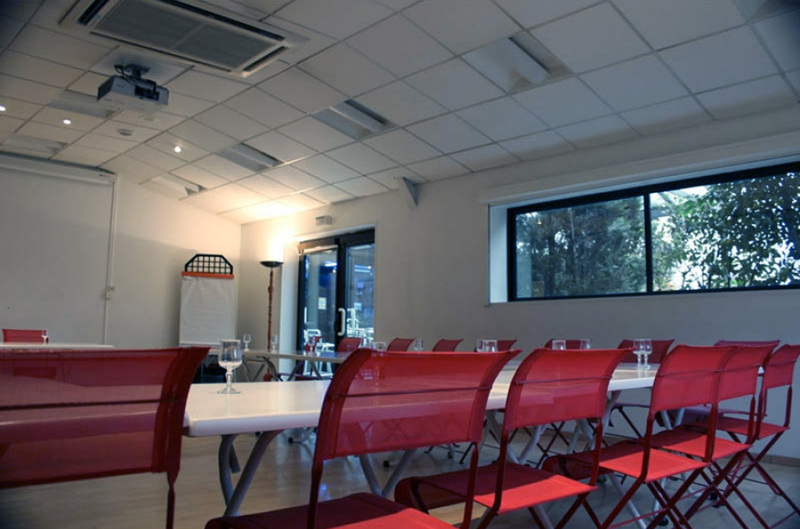 Seminars, meetings, show-rooms, conferences, sports trips, etc … six rooms of different capacities, which can accommodate up to a hundred people, are at your disposal. overhead projector, video projector, screen, television. chairs, tables, halogens, mirrors, clothes racks. Please contact us to establish together the package that corresponds to the desired service. All our rooms are equipped with halogens, mirrors and clothes racks.